Do you like my alliteration in the title? Smooth, huh? ;) Today was a loooonnnnggggg day. 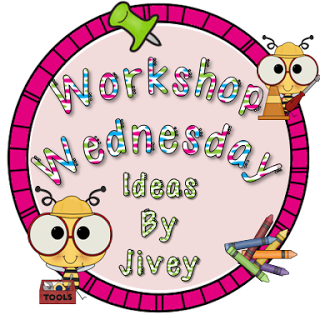 Even though I am over prepared for the school week by having amazing lesson plans that I create with Robyn, I just felt like this day would never end. Of course having the classroom above 92* and no air conditioning made it even harder to focus. By noon, the hallway floors were so wet from kids coming in from recess dripping sweat, that people were falling on the floor and I am not even going to discuss the smell! YUCK. Anyways, I am happy to be sitting at home with my AC cranked up to link up with my BBB, Jivey! 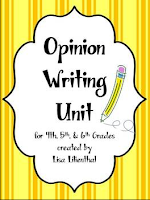 We started off the year with opinion writing. Last year I purchased a great resource that I finally was able to use. Included in this resources is a perfect example of one of my favorite essays to write, "My Favorite Restaurant." When teaching opinion writing in earlier years, we used to have the students pick their favorite restaurants and write about them. We would encourage the students to choose local restaurants, rather than chains, and would send the essays to the restaurant. We often received thoughtful letters back and sometimes gift cards. One teacher was even invited to dine with her class for free at the restaurant a child wrote about! I don't know why, but we haven't done that lesson in a few years. This year I hope I can get to it, but right now we are just starting to learn about the genre. 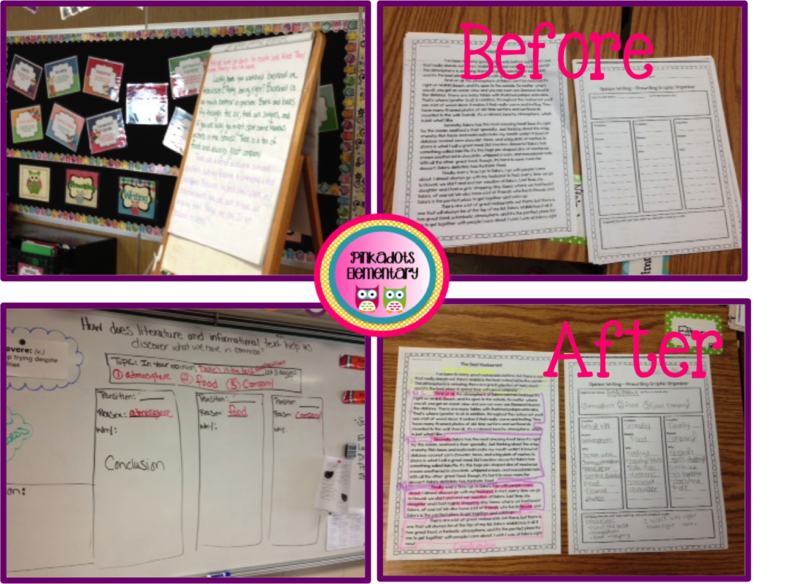 We started the lesson by using the prewritten favorite restaurant essay as a mentor text. We then read it together, in partners, and individually. As a class we worked on putting the components of the text into the plan (basically backwards writing). It sounds simple, but was a great first lesson for the kids to see how important a plan can be and how it is actually the frame of a good essay! They are excited to write a similar essay in the future, but instead of starting with that topic, we are doing something REALLY fun tomorrow. Instead of spoiling it (of course I will be blogging about it) I will just tell you it has to do with Skittles, Dum Dums, and Sour Patch Kids. Yum! It will definitely make for a fun and interesting writing class. I feel your pain. We were 92 without AC as well. I was thankful that we had fans to help move the air around. I can't wait to see what your plan is for tomorrow...who doesn't love candy?